Our brains are what we use to think, reason and come to know the divine or God. The 22 letters of the Hebrew alphabet created to compose the Word of God is our 22 boned skull, and the place where we receive the light to become illuminated, or enlightened beings. Hence, to be like Saint John and have our own Revelation. 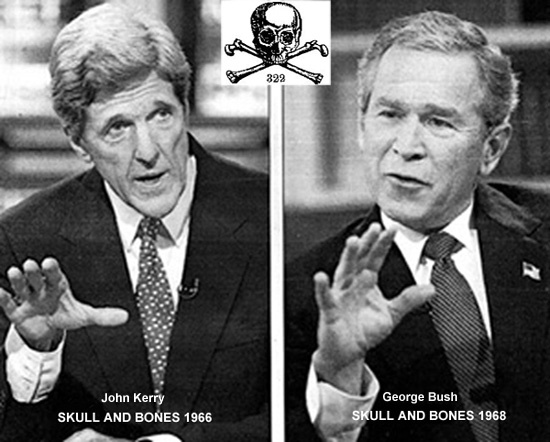 This is why I believe Skull and Bones had chosen the number 22 as the master builders of a New World Order (NWO). This fact would be validated by Bonesmen, former CIA director and President, George HW Bush; who in the video below taken from National television, makes no bones about their Apocalyptic plans for a New World Order. Please keep in mind that this speech of biblical proportions was done on 9-11-1991, and it was exactly 10 years later to the day that the U.S. suffered an attack on the World Trade Center Towers. Shortly thereafter his son George W. Bush would begin the war in Iraq. Google; meaning a wheel, whirl, whirlwind, or simply Chaos. The meaning of Gal, Gul or Gull, is to trick or to cheat. The word “curse” is used 66 times in the Old Testament. 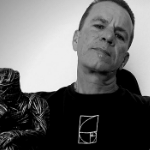 This chaos of tricks may be indicative of the CIA domestic counter terrorism plan founded under Skull and Bones member, James Jesus Angleton who was called the “Mother of the Central Intelligence Agency.” Angleton was directly responsible for a domestic espionage project called Operation CHAOS, and had coined the phrase, “Deception is a state of mind and the mind of the State.” Hence, from this point forward the CIA would play a central role in creating chaos both domestically and abroad, or ORDO AB CHAO which is the motto of the 33rd degree of Scottish Rite Freemasonry. 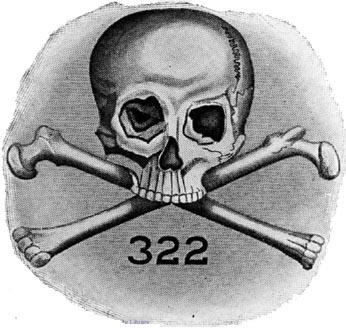 Did Skull and Bones place us all in a Catch-22 biblical predicament? In the book, Catch-22 by American author Joseph Heller, he portrays military rule typifying bureaucratic operation and reasoning. The novel is set in World War II, and Heller intentionally included anachronisms like loyalty oaths and computers (IBM machines). Catch-22 is often called one of the greatest literary works of the twentieth century. If we are to look back at his writings, along with the secrets of the number 322, and with the CIA chosen as a type of agency whose task is given to create chaos, war and also biblically judge the people both domestically and abroad, we can now understand why this agency is shrouded in so much secrecy, and surrounded by con-spirit-cies. Hell, that is their job folks, and this is why we now use the term “Catch-22” to define a tricky problem or a no-win or absurd situation. We can clearly see the truth for where we are at today with spin-off agencies from the CIA such as the National Security Agency (NSA). The NSA’s claim to fame came from their warrantless surveillance controversy, where it became widely known to the world that the Federal Government is spying and also collecting intelligence in super computer files on Americans and other people around the world. I will leave you with the lamentation for Israel: an exhortation to return to God. HEAR ye this word, which I take up concerning you for a lamentation. The house of Israel is fallen, and it shall rise no more. 2 The virgin of Israel is cast down upon her land, there is none to raise her up. 3 For thus saith the Lord God: The city, out of which came forth a thousand, there shall be left in it a hundred : and out of which there came a hundred, there shall be left in it ten, in the house of Israel. 4 For -thus saith the Lord to the house of Israel: Seek ye me, and you shall live. 5 But seek not Bethel, and go not into Galgal, neither shall you pass over to Bersabee: for Galgal shall go into captivity, and Bethel shall be unprofitable. 6 Seek ye the Lord, and live: lest the house of Joseph be burnt with fire, and it shall devour, and there shall be none to quench Bethel. 7 You that turn judgment into wormwood, and forsake justice in the land. 8 Seek him that maketh Arcturus and Orion, and that turneth darkness into morning, and that changeth day into night:1 that calleth the waters of the sea, and poureth them out upon the face of the earth: The Lord is his name. 9 He that with a smile bringeth destruction upon the strong, and waste upon the mighty. lO They have hated him that rebuketh in the gate: and have abhorred him that speaketh perfectly. 11 Therefore, because you robbed the poor, and took the choice prey from him : -1 you shall build houses with square stone, and shall not dwell in them: you shall plant most delightful vineyards, and shall not drink the wine of them. 12 Because I know your manifold crimes, and your grievous sins: enemies of the just, taking bribes, and oppressing the poor in the gate. 13 Therefore, the prudent shall keep silence at that time, for it is an evil time. I don’t believe any bonesmen wish to disgard themselves simply as “Chi thumbs” with tassel tongues. Bonesmen and Freemasons are cut from different fabrics and I don’t believe they were intended to perfectly mesh. I believe until this point the Bonesmen and Freemasons have reduced themselves to nothing other than a political party in a rat race to create a fascist monarch under the guise of a “democracy”. I believe it was intended as a race to bridge the ancient language barrier and equipe themselves with knowledge on ancient texts. As we all know the ultimate power is knowledge. 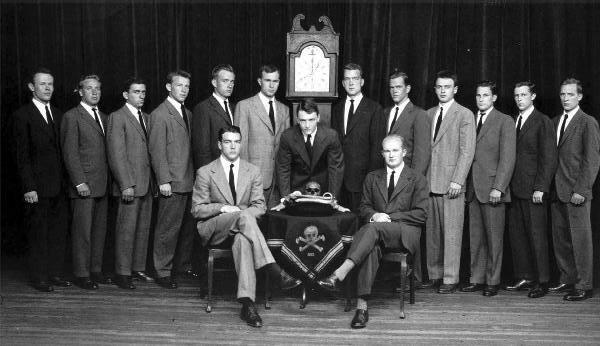 Moe, I have been shown that there has not ever been one member of the skull and bones that has ever been found worthy of the title of “Freemason”.